In what could be seen as a spillover effect of the Smart City Mission in India, three Indian cities — Panaji, Pune and Rajkot — that are among the 99 cities under the Government of India’s Smart City Mission, have been selected as national finalists in the 2017-18 edition of World Wildlife Fund for Nature (WWF)’s One Planet City Challenge (OPCC). The three cities are among the 40 finalists out of 118 cities across 23 countries that participated in the global challenge this year. Making the announcement through a statement on Friday, the WWF said that the plans and actions undertaken by these cities under the Smart City Mission resonate with the themes identified in the OPCC platform such as renewable energy, energy efficiency, sustainable mobility, waste management and sustainable infrastructure plans. While WWF’s OPCC invites cities in participating countries to report ambitious and innovative climate actions and plans in different sectors including energy, transport, housing and waste, on the international carbon Climate Registry platform, the three cities demonstrated action and plan in that direction. 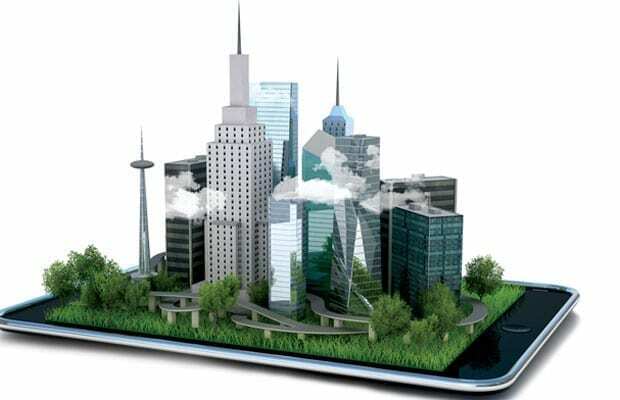 Over the past three years, as India embarked upon the path to develop 100 smart cities in India, cities across states submitted their plans to convert themselves into smart cities through use of smart solutions for government services, IT connectivity and digitisation, traffic management, solid waste management, city transport, water supply and recycling, energy supply and smart metering, among others. 99 cities submitted their plans to develop themselves as smart cities. If Pune is working to address climate-related challenges by enhancing its sustainable mobility landscape, promoting energy efficiency measures, increasing green cover, and improving waste management infrastructure, Panaji is taking strong action to improve waste management and aims to be a landfill-free city. Rajkot has taken comprehensive action to improve uptake of renewable energy, provide better waste management practices and expand the city’s sustainable mobility infrastructure including public transportation. Rajkot has also demonstrated promising commitment for reducing emissions, along with multiple initiatives for increasing energy security. Pune has also taken action to reduce emissions by developing a multi-modal, integrated mobility plan to improve public transport and traffic management as well as emphasise cycling, walking and non-motorised transportation. Similarly, Panaji is working on enhancing the renewable energy capacity, and improving the sustainable mobility landscape by implementing an “Intelligent Transportation System” to improve traffic management, accessibility to public transportation and pedestrian mobility. Having been selected as national finalists, the three cities have moved on to the next phase of the challenge and will now compete for the title of National and Global Winner. Over the last four years, cities that have won global challenge include – Paris (2016), Seoul (2015) Cape Town (2014) and Vancouver (2013). These cities are thought to lead through innovative and robust climate leadership that can be replicated by cities across the world. Since the inception of the Challenge in 2011, WWF has engaged over 411 cities across 5 continents. India became part of this global platform in 2012 and was the first developing country to join this initiative. Since then, WWF-India has engaged with 24 cities for this challenge, out of which, Delhi, Coimbatore, Thane and Rajkot have been the National Earth Hour Capitals in the earlier editions. In April 2015, the Union Cabinet cleared the project to develop 100 smart cities spread across the country and also a new urban renewal mission. The cities were shortlisted after evaluation of smart city plans submitted by them in several rounds of competition. Under the plan, each selected city would get the central assistance of Rs 200 crore in the first year and Rs 100 crore each during the subsequent three financial years. State governments and respective urban local bodies would provide matching funds to the same amount. Accordingly, each mission city would get a total assistance of Rs 1,000 cr over a five year period. The OPCC, previously known as the Earth Hour City Challenge, invites cities in participating countries to report ambitious and innovative climate actions, and to demonstrate how they are delivering on the 2015 Paris Agreement on climate change. Data is entered on the carbonn Climate Registry, and outreach and support is provided to cities in collaboration with ICLEI — Local Governments for Sustainability. Final plans and data are then reviewed by an international jury of experts tasked with identifying the most outstanding cities. After a process involving a thorough scrutiny of submissions and jury deliberations, national and global winners are selected and awarded. While Paris won in 2016, it showed innovative and robust climate leadership worthy of recognition and replication. Seoul, in 2015, was rewarded for its ambitious program to reduce greenhouse gas emissions by 10 million tons by 2020 and for dedicating a solid budget to the expanding the use of solar power among citizens, and reducing transport emissions through greener fuels, increasing the numbers of bus lanes and the creation of car sharing programmes.